The joy of your pregnancy is often tempered by the realities of the condition, which requires stepping away from certain things during that sometimes arduous nine-month period. These limitations are not only physical but can also include turning down certain foods. The obvious bans on such things as alcohol and smoking (if applicable) are what every expectant mother has come to learn over the past few generations. While there are still some who refuse to rein in these habits, most of them are in a very small minority. A pregnancy results in a suppression of your immune system, which means that your vulnerability to illness is heightened. Therefore, taking great care to avoid areas where germs or other bacteria can populate and grow is a wise choice. There are also certain foods that should be avoided, with none of them particularly healthy for people, regardless of their present physical condition. Such things as hot dogs, luncheon meats and raw vegetable sprouts are frowned upon since they also have the potential to create an atmosphere of bacteria that could cause an otherwise healthy pregnancy to veer into dangerous areas. When it comes to eating sushi during pregnancy, the general consensus is to avoid it, though some medical professionals believe that sushi which is steamed or otherwise cooked in some fashion is okay during a normal pregnancy. However, in Japan, there is no such consideration given to what’s a national dish. At some levels of Japanese society, the idea of not eating sushi due to pregnancy borders on an insult. The food is so integrated into Japan’s culture that one of the country’s supposed traditions is to give women who were suffering from the effects of postpartum depression some sushi in order to expedite their overall recovery. Avoiding it entirely would certainly solve the issue, but for those who have acquired a taste for what used to be just an exotic international delight, that may be too much to ask. 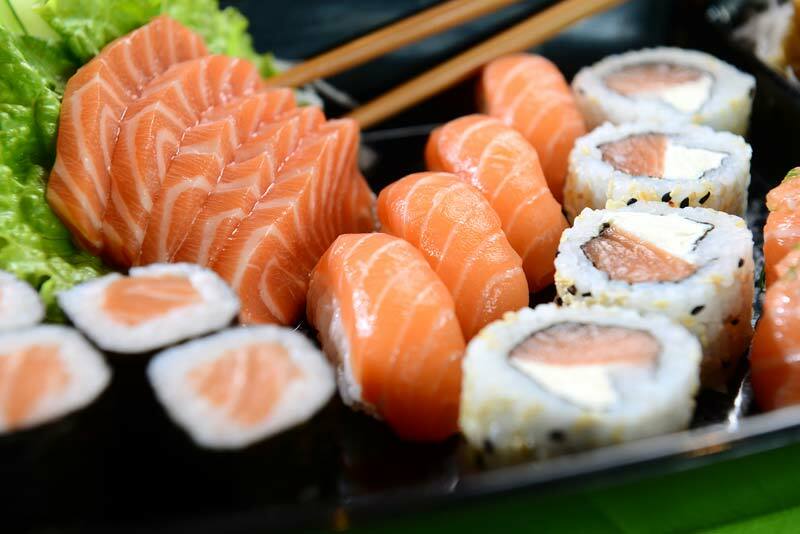 As previously noted, the reason that eating sushi during pregnancy should be carefully addressed is the presence of bacteria in the product’s most basic form, raw fish. In addition, the levels of mercury contained within uncooked sushi can devastate a healthy pregnancy, which is a terrible price to pay for a brief indulgence. That bacteria can manifest itself into a food-borne illness that might cause nausea or a case of the flu. An indication of how serious this aspect of this subject is can be seen in the fact, that the aforementioned possible illnesses are the minor concerns. The major concerns can develop into cases of fetal damage or even miscarriage. Discovering the amount of mercury within sushi can be next to impossible, but separating those with lower and higher mercury can be done by basis of the levels within the flash of a specific fish. Those with lower levels have less than 0.29 parts per million, while high levels begin when more than 0.3 parts per million can be found. Obviously, those numbers are microscopic if looking at the bigger picture, but even that small amount can be deadly when it comes to your pregnancy. Those levels should also be taken into consideration during the process of breastfeeding. Eating it would be considered okay, but again the potential for passing on mercury during this facet of the infant’s early life could prove problematic. Taking all of this information into consideration, it seems obvious that a brief hiatus from eating sushi might be the simplest course of action during a normal pregnancy. Otherwise, trying to decipher between the various levels of mercury for sushi will result in far too much focus on something that can be avoided.